D.L. Hughley’s formula could lay the ground work for more stars coming into the radio arena. The 2013 Radio Show, produced by the National Association of Broadcasters (NAB) and the Radio Advertising Bureau (RAB), will feature ABC News Radio White House Correspondent Ann Compton, Syndicated Radio Host/Comedian D.L. Hughley and author Steve Jones. The session, titled "Tap Into Your Star Power and Build Your Brand," is sponsored by Coleman Insights and will be held on September 18 at the Rosen Shingle Creek in Orlando. Mike McVay, senior vice president, Corporate/Programming for Cumulus Media and Cumulus Media Networks, will moderate this distinguished group who have successfully branded themselves through the power of radio. Compton, a White House correspondent for ABC News since 1974, was the first woman assigned to cover the White House by a network television news organization. On September 11, 2001, Compton was the only broadcast reporter allowed to remain on board Air Force One with President Bush. Her September 11 coverage was recognized in ABC News' Emmy and Peabody awards. 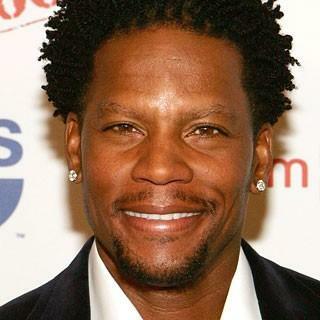 Hughley's standup comedy career successfully spans radio, television and film. His new radio program, The D.L. Hughley Show, is syndicated by Reach Media and launched last month in 39 markets, including Chicago, Cleveland, Nashville, Memphis, Detroit and New Orleans. Hughley has also hosted comedy shows on ABC, Showtime and CNN. He appeared in the film "The Original Kings of Comedy" and received a Peabody Award for the comedic documentary "D.L. Hughley: The Endangered List." Jones, who spent 27 years in the music industry, witnessed the rise and fall of many legendary rock stars. His book, "Brand Like A Rock Star," uses examples from U2, AC/DC, Lady Gaga, The Beatles, KISS, Jimmy Buffett and Bob Dylan. In this session, Jones will provide analysis of Compton and Hughley's unique and positive brands. He will also share anecdotes on "brands gone bad," offering suggestions on what to avoid and why.